So many of us take our vision for granted, not realizing how much of our time is truly spent relying on our eyes. Leisure, hobbies, family time—most activities include some sort of visual element. For a majority of the population, this reliance on eyesight extends deep into the workplace as well. From doctors to construction workers, teachers to office workers, many jobs rely on the ability to see. So what happens when we damage that ability? Every day, roughly 2,000 American workers sustain some sort of job-related eye injury requiring medical treatment, according to the CDC. There are more than 15,000 welding, and nearly 10,000 power tool related eye injuries reported yearly. Workplace related eye injuries total over 700,000 annually, and nearly one million Americans have already lost some degree of sight due to a workplace related incident. The majority of eye injuries sustained in the workplace are due to small abrasions or chemical splashing, including exposure to materials such as metal, wood, UV radiation, and cleaning products. Damage can also take place slowly, and on a daily basis, without any exposure to a tragic accident or spill. Recent surveys have exposed that computer work alone accounts for up to 14% of all reported eye problems. 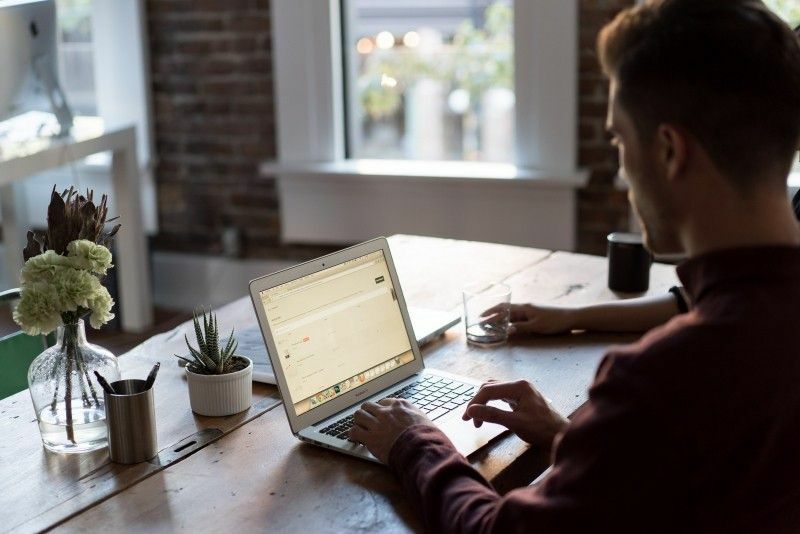 Because of the close proximity of screens, as well as the length of time spent looking at them, there is concern for the long-term effects caused by prolonged exposure to the blue light, according to Prevent Blindness. Because of the high-energy wavelength of blue light, almost all visible blue light is able to pass through the cornea and lens, successfully reaching the retina. Too much exposure to blue light could lead to digital eyestrain, retina damage, dry eye, and even age-related macular degeneration. 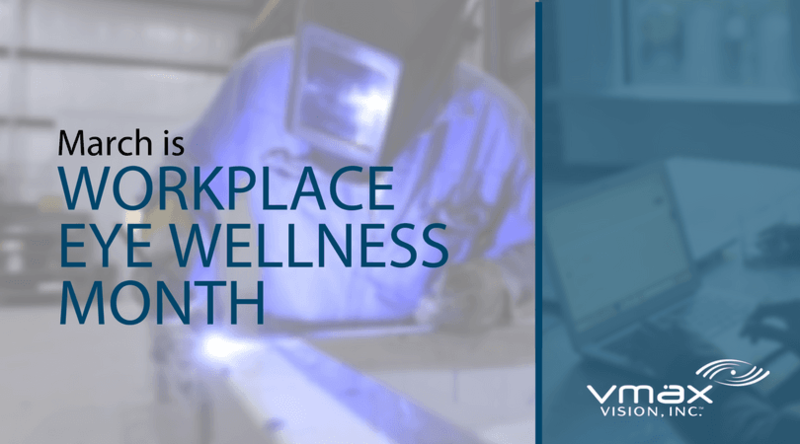 So many of us today focus on eating whole foods, receiving the proper amounts of sleep and exercise, and living an overall healthier life—so why not take the proper actions to promote and incorporate workplace safety to support long-term vision health? OSHA standards require that employers provide workers with suitable eye protection. To be effective in preventing injury, appropriate and properly fitted eyewear should be worn at all times. 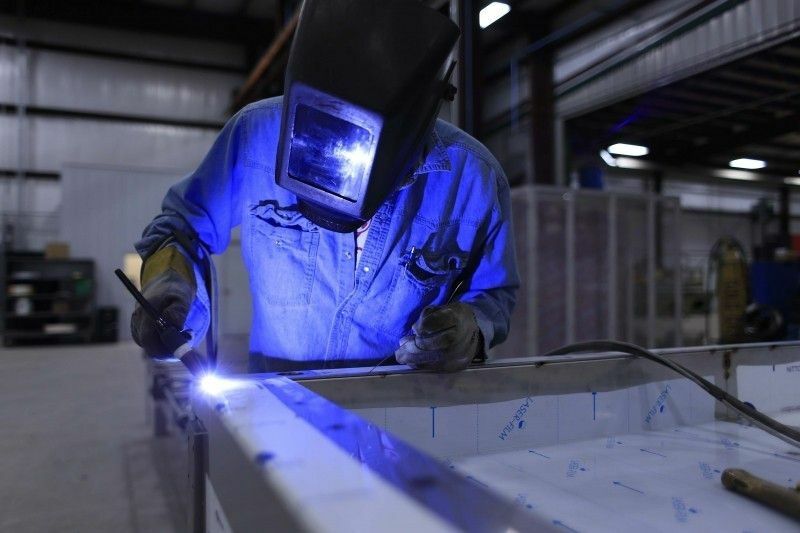 Workers in the manufacturing, construction and trade industries, as well as those in production, installation, maintenance and repair are most at risk of incurring an eye injury without proper protection from eyewear, according to the Bureau of Labor Statistics. If issues are caused by constant exposure to blue light from phones, tablet, and computer screens, there are a variety of ways to reduce vision strain while still being productive. Remember the 20-20-20 rule; every 20 minutes, look at an object at least 20 feet away for at least 20 seconds. Remembering to blink often, while sounds funny, will help your eyes stay moist throughout the work-day. Anti-glare lenses and anti-glare monitor screens can also be utilized to make computer work gentler on the eyes. In addition to wearing appropriate protective eyewear, one of the most important steps to take in preserving vision is to have your eyes examined at regular intervals by an eye care professional. Eye exams will help evaluate potential injuries to the eye, as well as look for signs of other conditions such as glaucoma and cataracts.